Frikandel Speciaal, Bitterballen, and something called “smulrol” are a few favorites on the menu at Wendy’s in the Dutch city of Goes. There are no 4 for 4€ deals, no Baconators or Son of Baconators, no Frostys to dip your fries. There’s not even an adorable, freckle-faced mascot. Instead, it’s the glorious mullet of the chain-smoking man behind the counter, Albert van der Hoek. This is what Wendy’s looks like in Europe: A hole-in-the-wall chippie run by some brute Dutch sailors with a serious case of stick-it-to-the-man-itis. It’s the reason a certain billion-dollar, red-headed American fast food chain has been kicked off the continent. From the corner of Koningstraat, a sign advertising the crispy chicken burger, chicken strips, and crispy hot wings stands among pristine cobblestone streets and gabled facades from the Dutch Golden Age. It’s a setting straight out of Amsterdam, except rather than museums, prostitutes, and panicked Brits on ‘shrooms, the town’s lure is a steam train that takes you… right out of the town. Inside Wendy’s Fish & Chips, manager Albert van der Hoek is singing along to Starship’s “We Built This City.” The two-table restaurant is, just from the looks of it, a clear favorite among those from the nearby smoke shop, along with the inebriated twenty-somethings stumbling home in the wee hours. There’s an arcade game, a freezer full of Ben & Jerry’s, and a glass case of burgers, sausages, meatballs, bitterballen -- balls of all kinds, really. Most customers seem to order the frikandel, a breath-stinking specialty of ground hot dog topped with ketchup, mayonnaise, and raw onion. But Albert recommends the crispy chicken burger -- which he warns is a bit spicy -- some fries, and a Heineken. It’s a not too dissimilar combo from, say, a #6 meal at any other Wendy’s in the world, and it’s just as good, the fries perhaps better. This is what Wendy’s looks like in Europe: A hole-in-the-wall chippie run by some brute Dutch sailors. The big Wendy’s International did not respond to Thrillist’s request for comment, and Warrens refuses to talk about it out of fear his words will be misconstrued. Meanwhile, manager Van der Hoek rolls his eyes over the chain’s allegations, which include grievances that Warrens’ trademark was made in “bad faith,” and demands the complete nullification of the shop’s ownership over the name. 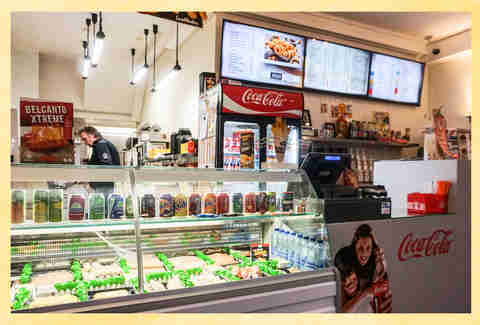 In a mish-mash of Dutch, German, Denglisch, and gestures, Van der Hoek explains a bit of the beef, which seems to hinge on two particular charges: The snack bar’s “normal use” of the name, and if Warrens knowingly named his shop after the American chain. After all, Wendy’s operated in a handful of countries across the EU in the ‘70s and ‘80s, including Germany, Greece, and even Benelux cities like Rotterdam and Brussels. When they all shut down in the mid-80s, Wendy’s lost their beloved trademark -- what some may call a biggie mistake. The corporation’s claims do seem a little exaggerated. In one of the charges, Wendy’s International alleges Warrens knew about the chain’s existence prior to his trademark registration. Warrens, of course, denies this. How could he have known about Wendy’s? For starters, the chain’s nearest operation to Goes was a single restaurant in Rotterdam, a city nearly two hours away by car. Plus, Wendy’s International did not advertise its restaurants in Europe. Suggesting that Warrens knew about Wendy’s would be like asking an Iowa corn farmer if he knows about the Chicago-opening of some Euro-chain like FEBO or Nordsee. “Fake Wendy’s. Just close down already, ” reads one Google review. Concerning some of Wendy’s “normal use” accusations -- alleging Warrens isn’t using his trademark to its potential -- who’s to say that his Wendy’s needs to be more than just a mom-and-pop shop, in a town filled with mom-and-pop shops? None of these reasons are thwarting the $10 billion brand with 6,500 restaurants in 30 countries from pursuing claims for the trademark, but, at this point, Warrens refuses to settle and continues to fight the American company out of principle, according to his lawyer Thera Adam. Well, principle and -- based on the constant stream of ‘80s rock music blaring inside his snack bar -- probably some sort of Axl Rose-inspired rebellion. 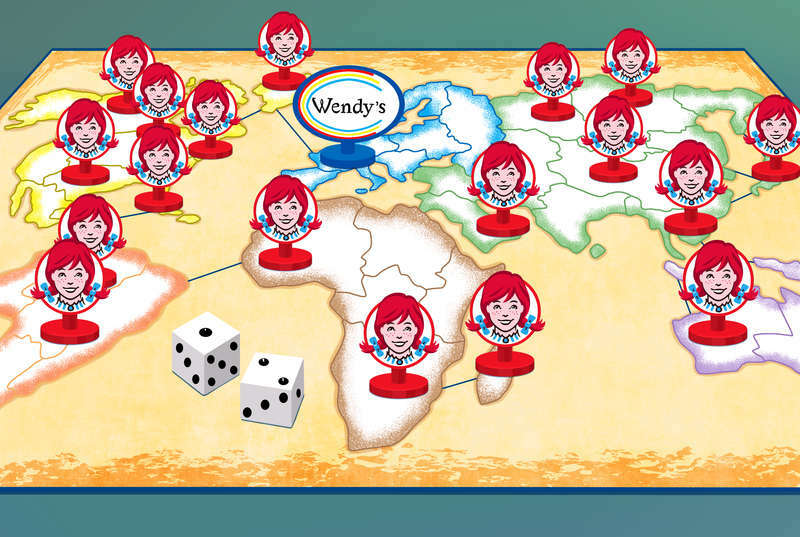 The stakes are high for Wendy’s International. Competitors like McDonald’s and Burger King can be seen on damn-near every street-corner in Europe. Germany has about 1,500 McDonald’s alone, and the company earns about $3.3 billion annually from the European nation. Burger King operates over 500 restaurants just in the United Kingdom. Hell, even Cyprus has seven Domino’s pizza locations. “Stupid idiot that you are going bankrupt or change your name so that the REAL Wendy's can come, you ugly thick slob,” says another. 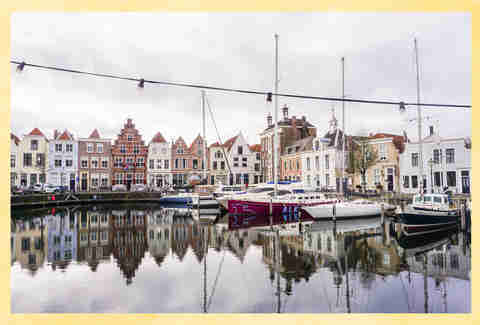 As an extra eff-you to the American company, the lawsuits, and the establishment’s detractors, Warrens recently opened a second snack bar in the tiny coastal town Zierikzee. Now, the Frosty-filled franchise can’t argue his Wendy’s is not a chain. In the end, Raymond keeps fighting. Albert keeps frying. The hair metal keeps playing. @TommyBurson is a Euro-based Detroiter who was born to run to Wendy's. He wants to know if love is wild. He wants to know if love in the #6 is real.